A Pelican Case is a brand of a waterproof, hard-shell, protective cases. On canoe trips this product is a safe home for items of delicacy (cameras or sunglasses, to avoid being crushed) or importance (money or passports, to avoid being soggy). These cases were very abundant during our paddle across Canada. That is the Pelican Case; this is a case for the pelican. There are pelicans in Canada. Over the trip I have developed quite an enthusiastic fondness for this bird. I could ramble on…I will try to be pelican brief. Back in February, while discussing this adventure with a colleague who had paddled Lake Winnipeg before, she informed me that on the lake we would encounter pelicans. I remembered the pelican. When I was five, the family went down south. Disney was incredible, I finally met Goofy and there were pelicans. From my memory- a scrawny, brown and dirty white, squawking, fishy-gross, undesirable nuisance. To my surprise, just two days past Edmonton, the pelicans joined our canoe trip much earlier than expected. 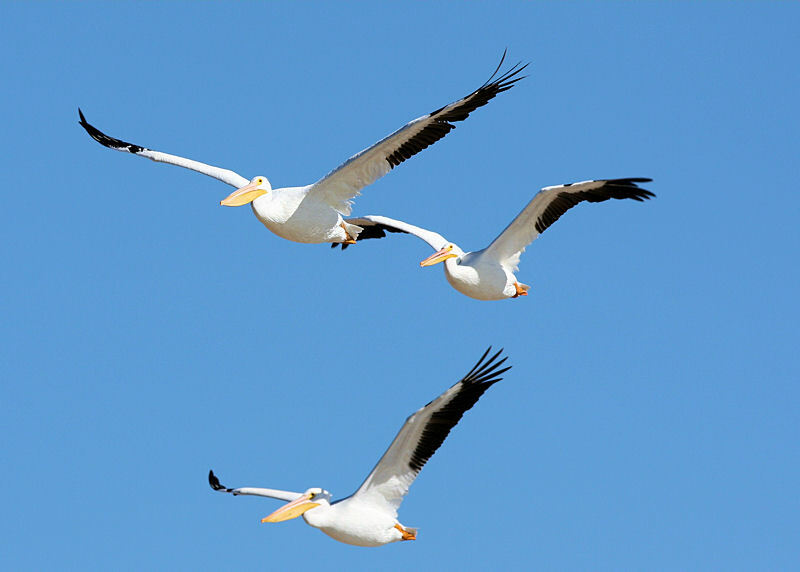 Not at all resembling the nuisance recalled from childhood, the American White Pelican is the second largest bird in North America. They are majestic, magnificent, stark white angels of northern rivers and lakes. Being a very big bird with a very big beak, one may assume the noise of hundreds of these species can be heard from thousands of paddles away, however in all of our encounters with the birds, not a screech was squawked. The pelicans are amazing and abundant. Feeding and flying in flocks of hundreds along the North Saskatchewan or gliding effortlessly alone along the Winnipeg lakeshore in the sunset, these beautiful birds became our spirit guides, joining us for over 75 days of our adventure. While our journey saw an abundance of animals; from moose to black bear, wolf to porcupine, tick to mosquito and everything in between, the American White Pelican remains my most memorable wildlife moment on the paddle across Canada tour.